December has been a very rough month. As you know, we lost our brother on December 1. Honestly, this hit me harder than I expected. After returning from his funeral, I came down with a bad head cold. Cara and I have both been working non-stop, in addition to getting Rodney’s memorial video into its final state, copied and shipped out. There has been zero time to shop for presents, but yesterday we had the day off and took advantage of it to celebrate with a home-cooked feast. Cara bought a large lamb steak, which we opted to sear rather than stew. 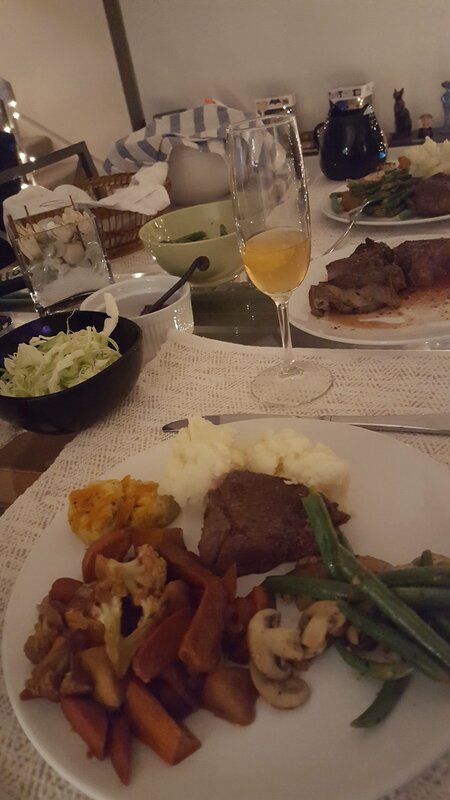 To the menu we added colcannon (Irish-inspired mashed potatoes with shredded cabbage), gourgeres (see November posting for recipe), sweet roasted winter vegetables, green beans with lemon and mushrooms, and mulled white wine. I served a small amount of Trader Joe’s cranberry sauce on the side. My recipes, such as they are, and a few pictures follow. Note that unless I am baking, I often fly by the seat of my pants and therefore measurements are approximate. Feel free to adjust to suit your taste. To make my dairy-free colcannon, I used approximately 3 pounds russet potatoes, peeled and chopped, and cooked for 20 minutes in salted boiling water, drained and mashed with one tbs. of olive oil, 1/2 tsp. garlic powder, and enough coconut cream to reach the desired consistency (at least 1/2 c.); seasoned with salt and freshly cracked pepper to taste. I serve a bowl of shredded cabbage on the side so that each person can add however much they want to their plate. Green beans with lemon and mushrooms: I used approximately 1/2 pound of fresh green beans washed, trimmed and halved on the diagonal; 4 ounces of fresh crimini mushrooms, cleaned and sliced; 3 cloves garlic, peeled and minced; 1/2 tsp dried marjoram, the juice of 1/2 lemon, and salt and freshly cracked pepper to taste. Heat 1/2 tbs olive oil (you can use butter if you aren’t dairy free) in a non-stick skillet and add garlic, sautee for two minutes. Add green beans and sautee for 3 minutes, then add mushrooms, marjoram and lemon juice. Sautee/cook until green beans have reached the al dente stage. I’m not certain how long this took because I was simultaneously dealing with searing the lamb, but approximately 8-10 minutes total. Season to taste with salt and pepper. Feel free to double this recipe as leftovers are nice. Seared lamb. I sear meat because I do not own a BBQ grill (wish I did). I learned the technique watching a YouTube video years ago. Success is really contingent upon the size of the meat, but it’s basically the same process I use for filet mignon or any thick cut meat. 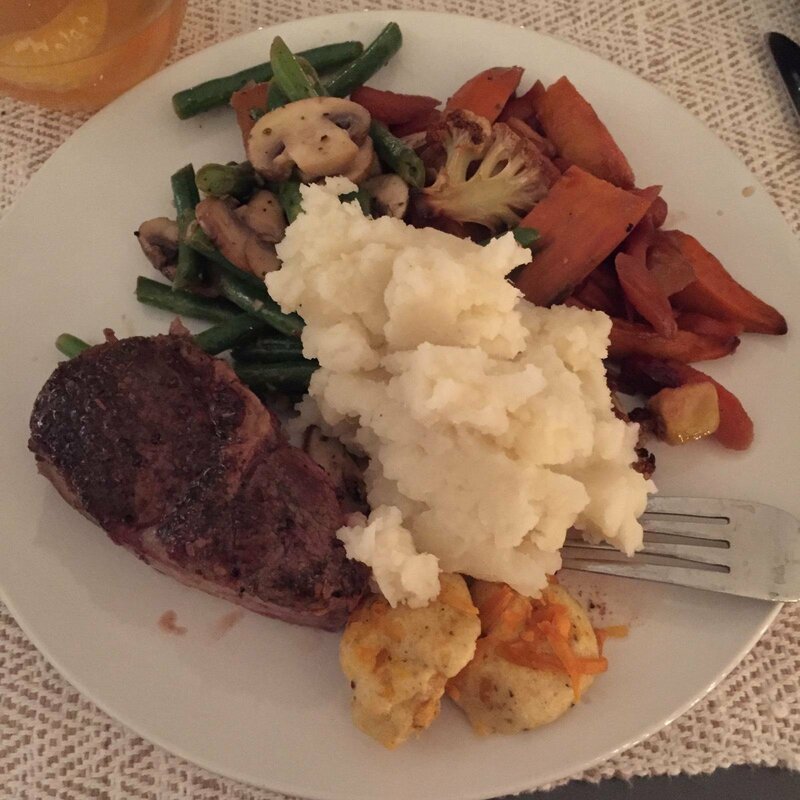 The lamb steak I used was 1.34 pounds and 2 inches thick (thank you Trader Joe’s). We marinated it at room temperature with olive oil, garlic powder, red pepper flakes, dried oregano and tarragon, and freshly cracked pepper. I have a large heavy skillet, which I preheat until very hot. Place the meat into the hot skillet and cover with the lid. Set your timer for 5* minutes. Turn meat ONCE (remember what Dad said..) I like to cook lamb just a wee bit longer (medium rare) than I do filet mignon. Set your timer for another 5* minutes and replace the lid. When the 5 minutes have passed, remove the meat to a serving platter and allow to stand several minutes before slicing into serving portions. *Cooking times will be adjusted depending on the thickness of your meat. 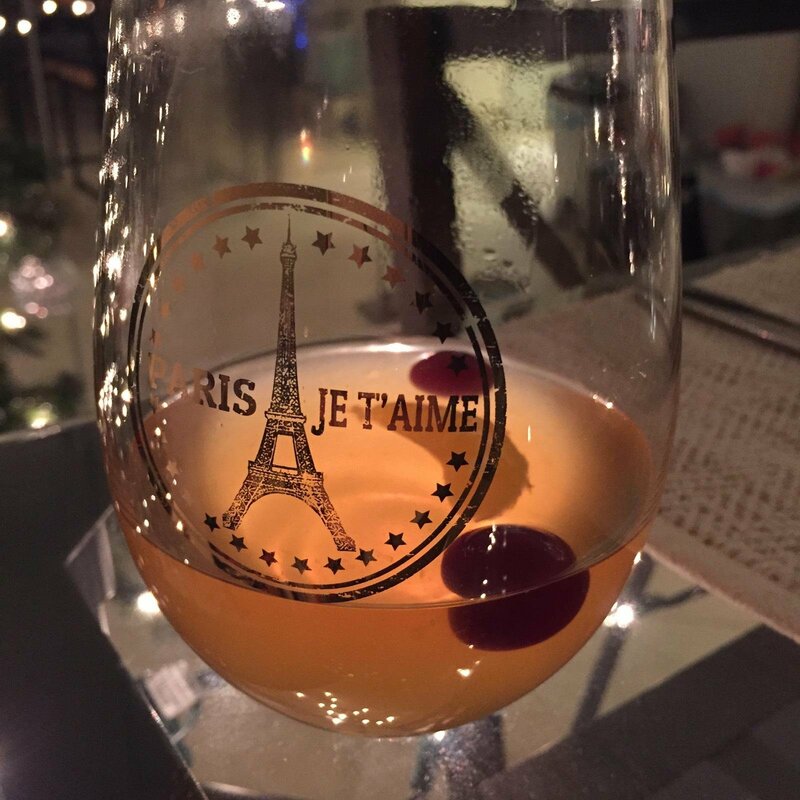 Mulled white wine: I was given white wine as a gift so we decided to transform it. To a small crockpot, I added the entire bottle of wine, 1/2 c. sugar, 1/4 c. mandarin juice along with the segments of 3 mandarins, 1/2 c. fresh cranberries, 2 cinnamon sticks, 2 cloves, and 2 cardamom pods. I let this cook on low for 4 hours while I worked on all of the above. It came out really wonderful! Next time we will use peaches instead of mandarins. I think the fragrance will be sublime! Please feel free to comment. I would enjoy hearing the feedback. Bon appetite! Super simple to make. 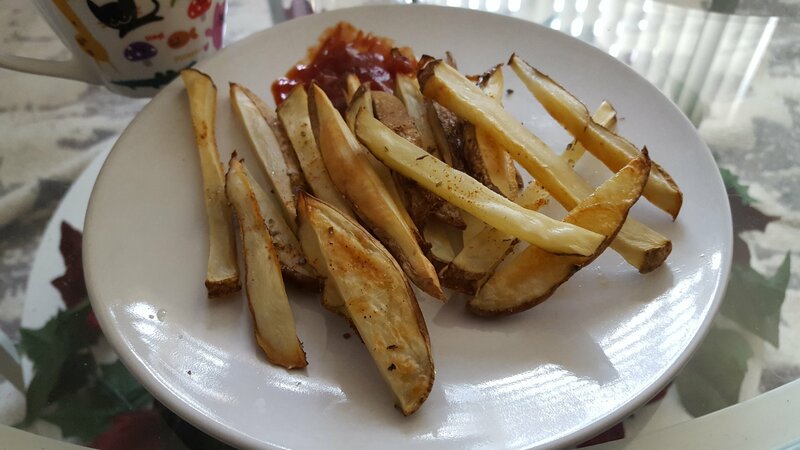 Ingredients for two as a side dish: 3 russet potatoes scrubbed and cut lengthwise into sticks, olive oil, salt, pepper, garlic powder, dried oregano, ketchup and a few drops of Naga Jolokia sauce or your favorite hot sauce. Method: Oven 400°. Place parchment paper on a baking sheet and smear lightly with olive oil. Arrange cut potatoes in a single layer on the parchment, sprinkle with salt, pepper, garlic powder and oregano. Bake for 20-25 minutes until golden brown. If you use parchment, they won’t stick. Serve with ketchup mixed with a few drops of hot sauce, or as a side dish with any meal. 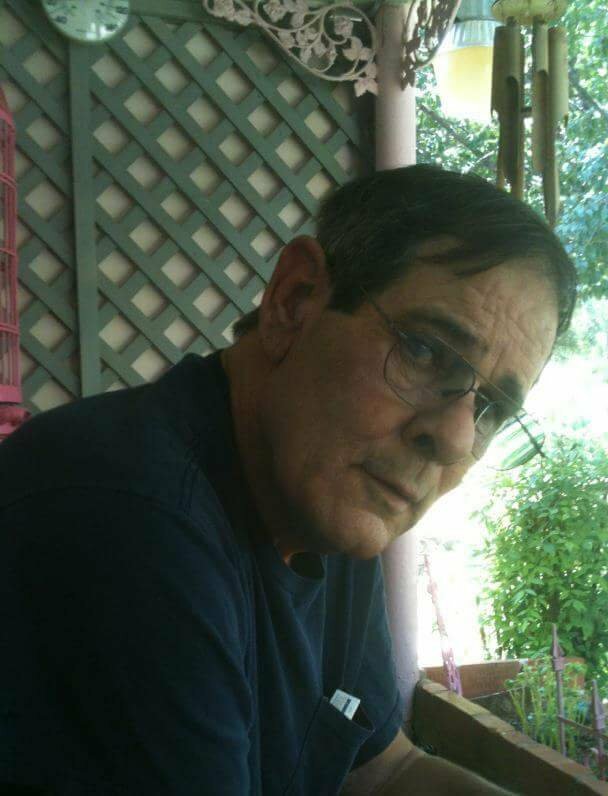 It is with tremendous sadness that I make this blog post about my oldest brother, Rodney Olin Havens, who has passed away at the too young age of 67. We’ve learned his death is possibly due to a heart attack. I was very close to my brother, even given our great distance apart (he lived in north Texas and I in California) and even given the distances between our various personal beliefs. Rodney was always there for me, even as a kid. At 6’2″ he was a hard mountain of a man with big, strong hands that he used in his bricklaying business. He intimidated all the would-be suitors when I was a teenager. He had a great love of family, first and foremost. He also adored native American artifacts and lore; in fact in one of our more recent conversations he talked poetically about wanting to visit a tribe in Oregon. He wanted far more life experiences than he ever obtained; and I know all about the demons that held him back in life because he was always open and honest with me about his internal struggles. I loved it when he rang me up – I would need to find a place to settle in because our phone conversations could last for hours, and we talked about everything under the sun. He would always say, “I love you baby sister,” and I think it’s the sound of his deep bass voice saying those words that I will miss the most. I love you too, my big brother. I wish you eternal rest and peace at long last.